Some people are confused by the various options available for addressing facial wrinkles and volume loss. They hear the term dermal filler and assume that also includes Botox and Xeomin. But while all of these options are injectables, there’s a world of difference between fillers and neuromodulators. Since we offer various options for both types of these injectables, here’s some information to clear up any misunderstanding. Think of neuromodulator as a fancy term for a muscle relaxer. The goal of these products is to stop a particular muscle from contracting. It does this by inhibiting the nerve communication, hence the term neuromodulator. Certain wrinkles are caused by muscle contractions when we perform repetitive behaviors such as squinting and frowning. These expressions are formed mainly by the upper third of the face. Try it. Squint and feel the muscles of your forehead contract and create lines and wrinkles. When these muscles contract, they create a wrinkle on the surface skin. Neuromodulators are made from the botulinum toxin type A. This is the same bacteria that cause botulism. During WWII research on this toxin showed that when it was injected in very miniscule amounts into a muscle the toxin temporarily stopped the muscle from contracting. They found that the botulinum toxin blocked the nerve in the muscle from sending a message to the brain to contract the muscle. Without the message, the brain didn’t send out the word to contract the muscle. Botox was born. Originally, Botox was approved by the FDA for use on involuntary eyelid spasms. Then in 2002, the FDA approved it for the treatment of facial wrinkles such as crow’s feet and the 11s (the lines between the eyebrows). The rest is history, as Botox is now one of the world’s most famous brand names and is a year in and year out the world’s most performed cosmetic procedure. Dr. Herte offers Botox and Xeomin (a different brand name neuromodulator) for her patients. A dermal filler is true to its name — it fills the wrinkle from beneath. When skin is sun damaged or has lost volume, there is a depression on the skin surface, whether an individual wrinkle or an area. 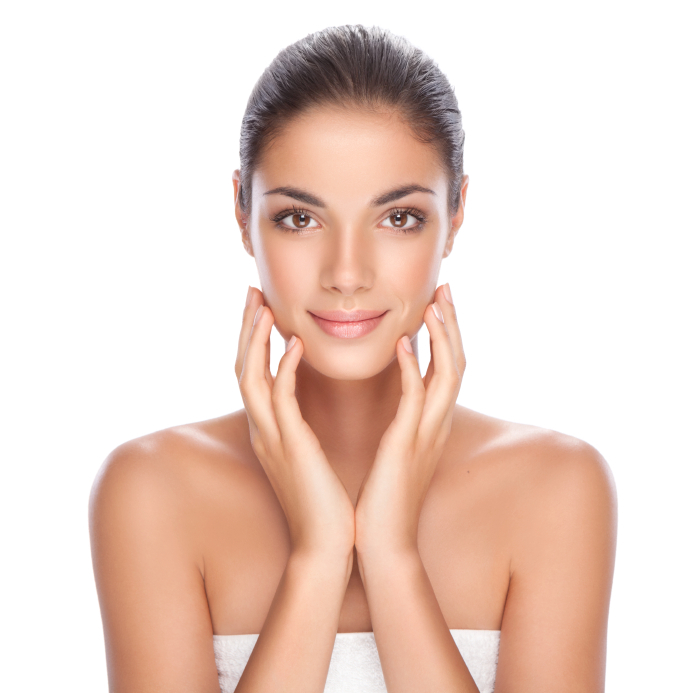 Dermal fillers are injected directly beneath the wrinkle or area with decreased volume. The filler “fills” space and pushes the skin back upward, erasing the wrinkle and filling volume. Dermal fillers are either “natural” or “synthetic.” Natural fillers such as Juvederm, Perlane, and Restylane are all comprised primarily of hyaluronic acid. Hyaluronic acid is a naturally occurring substance in humans that is responsible for keeping the skin hydrated and plump. It does this by binding with water molecules under the skin’s surface. Synthetic fillers are made of synthetic materials. Sculptra, for instance, contains poly-L-lactic acid that triggers the body to produce collagen, which returns structural support to the skin, eliminating wrinkles and lines. Radiesse contains calcium microspheres that add a structural framework that supports the skin above. It also triggers collagen production. Dr. Herte uses both Sculptra and Radiesse. Now that you’re an injectable expert, do you have some areas of your face that could use them? Call Dr. Herte at 702-732-9600 and let’s talk about your options.